But, Is Latin (not) a dead language? How many times have you read or heard a phrase in Latin, and tried to understand the real meaning, or tried to discover the historical origin? Well, if you think that Latin is a dead language, perhaps you should think again. There are many expressions that have become famous which are part of our daily lives. We use these phrases often without thinking, sometimes we draw from this vocabulary to make an impression and enrich our discussions with some emphasis. Is it not true? ‘Orazio’ – Giacomo Di Chirico. Have you ever heard of Horace for example? His “carpe diem” means “seize the day”. It is translated as “seize the moment”, or, in other words “try to fully live the present without thinking about the future”. A simple and direct sentence, which however conceals a philosophy of life and thought. In his poetic collection Odes, Horace, a Roman poet from the first century BC, expresses the meaning of his reflection on human life and on the unpredictability of the future, inquiring about the happiness of the human being. This issue recurs also in the 1989 film “Dead Poets Society” by Peter Weir, starring Robin Williams. Another great Latin personality, Seneca, a poet and philosopher born in 4 BC, left us yet another famous expression, which we can use whenever the road to the realization of our goals is difficult and full of challenges. “Per asperam (sic itur) ad astra” actually means “through hardship to the stars,” to say that the way leading to the goal, to virtue or to the target can be full of obstacles. The sentence is from Hercules Furens, a tragedy written by Seneca in old age with Hercules as main character, a mythological hero famous for his famous “labours”. How to blame him centuries later? If on one side Horace invites us to enjoy life in every opportunity because the future is uncertain, as we are also reminded by the famous Giacomo Leopardi in the nineteenth century, on the other hand, we find an expression that invites restraint and mediation between excesses: “in medio stat virtus” or “virtue is in the middle”. This Latin sentence invites one to seek a balance between the extremes, avoiding exaggerations, as a virtuous model of action and thought. The expression is linked to the medieval philosophers, but already in the Nicomachean Ethics Aristotle spoke of the importance of finding a balance and avoiding excesses in various situations. 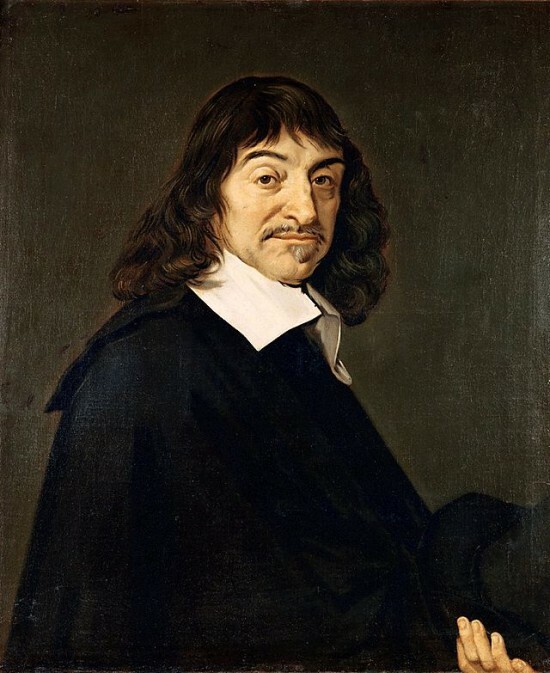 In the seventeenth century, so, already in the modern age, the famous philosopher Descartes resorted to Latin to strongly express the importance of thought. “Cogito ergo sum“, which means “I think, therefore I am”, or “since I think means that I exist”. So, on this function of human thought, Descartes founds his philosophy of man as a thinking and existing being. It would not be bad if today we too could use this formula to recognize the thinking intellects from those who act without thinking. René Descartes – Frans Hals. Well, perhaps it would be appropriate to say that Latin could still be a language alive and well, and capable of resisting for a long time.